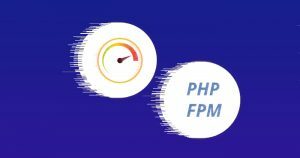 PHP FastCGI Process Manager (PHP-FPM) is an alternative FastCGI daemon for PHP that allows a website to handle high loads. PHP-FPM maintains pools (workers that can respond to PHP requests) to accomplish this. PHP-FPM is faster than traditional CGI-based methods such as SUPHP for multi-user PHP environments. In the cPanel & WHM 76 version and later, the cPanel system enables PHP-FPM by default on a newly installed cPanel server. The cPanel system will automatically enable PHP-FPM for all websites that you add on the cPanel server. To work PHP-FPM properly, your server requires at least 2 GB of RAM. If the system finds less than 2 GB of available RAM, it will not enable Apache PHP-FPM by default. Accounts that you transfer to a server with a new cPanel & WHM version 76 installation will use the new installation’s Apache PHP-FPM settings. You can enable or disable Apache PHP-FPM for individual cPanel accounts or server wide through WHM. It will enable or disable Apache’s PHP-FPM for all domains. # Select the cPanel domain name from domain list to enable or disable PHP-FPM for an individual domain. Honestly, this is the best thing I have found on the web in the last year or so. Great advice, simple step by step.